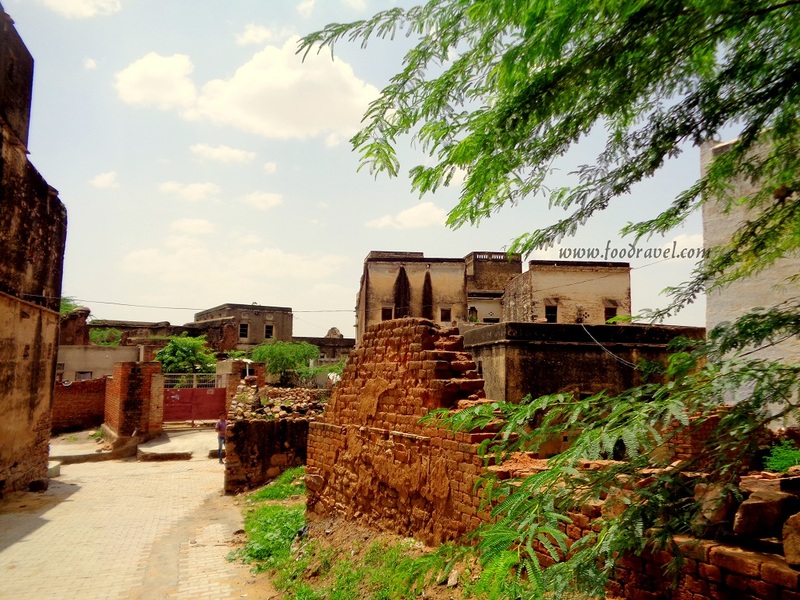 Not to be confused with Madhogarh fort Rajasthan (Fort Madhogarh), this fort is in Mahendergarh (Mohindergarh) district of Haryana state. I have always wanted to visit and explore this place. Though not too far from my hometown, this place has been always in my visiting list. But finally I made it to this place. 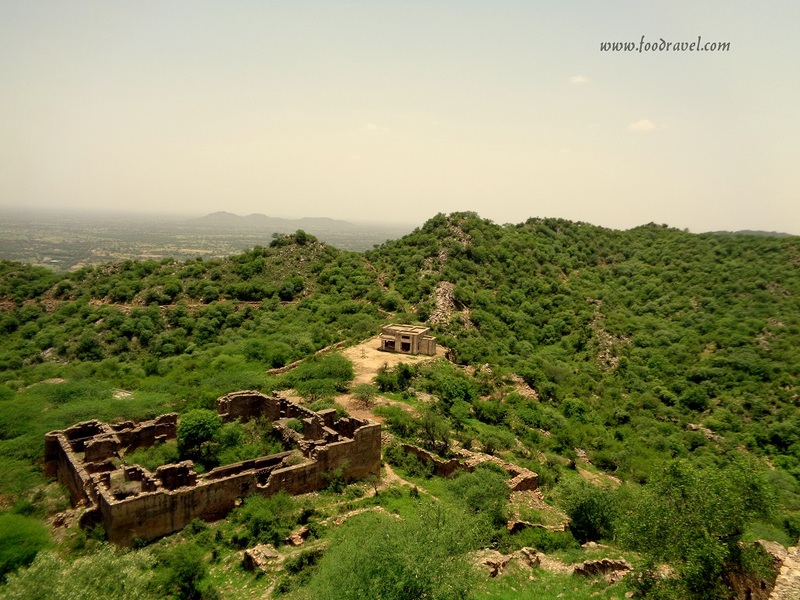 Madhogarh fort is among the few hill forts in Haryana. 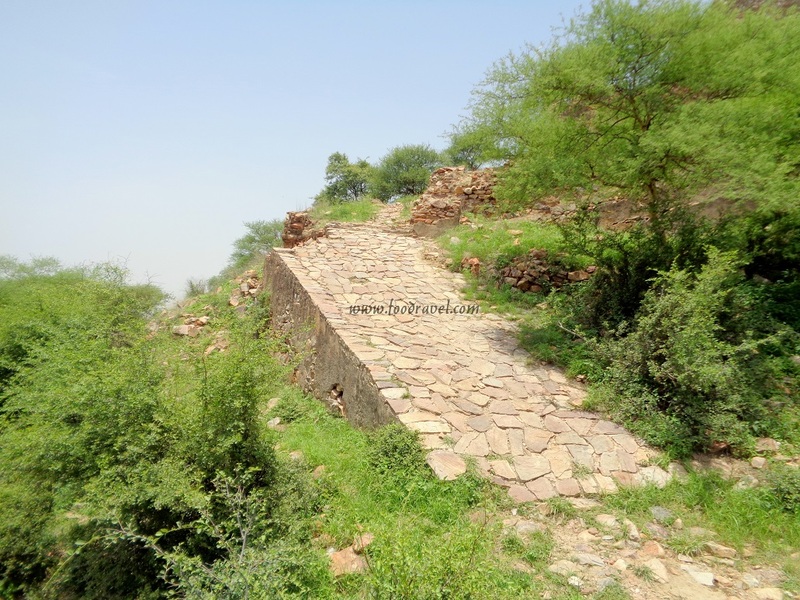 I visited another hill fort in Mandhan. 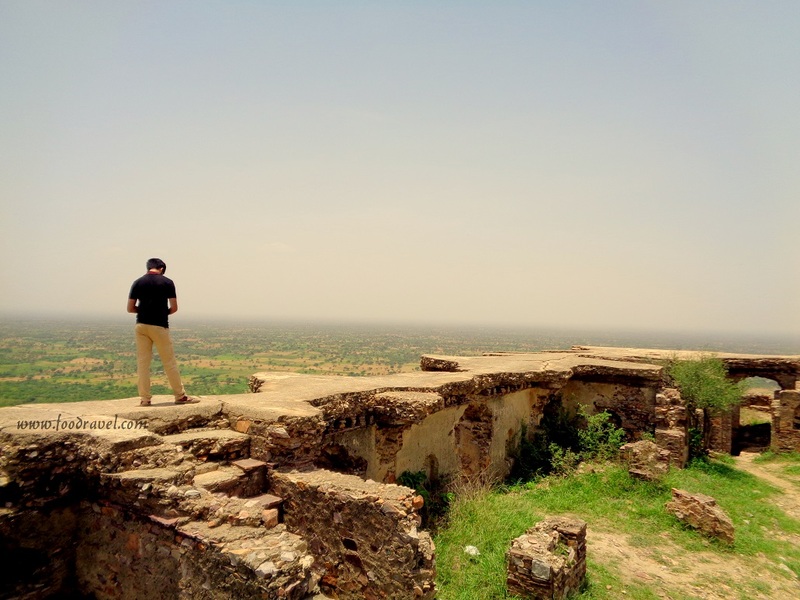 Just like that fort, this Madhogarh hill fort is also surviving for its existence. It’s demolished and only broken walls are left behind. The complete structure doesn’t exist. 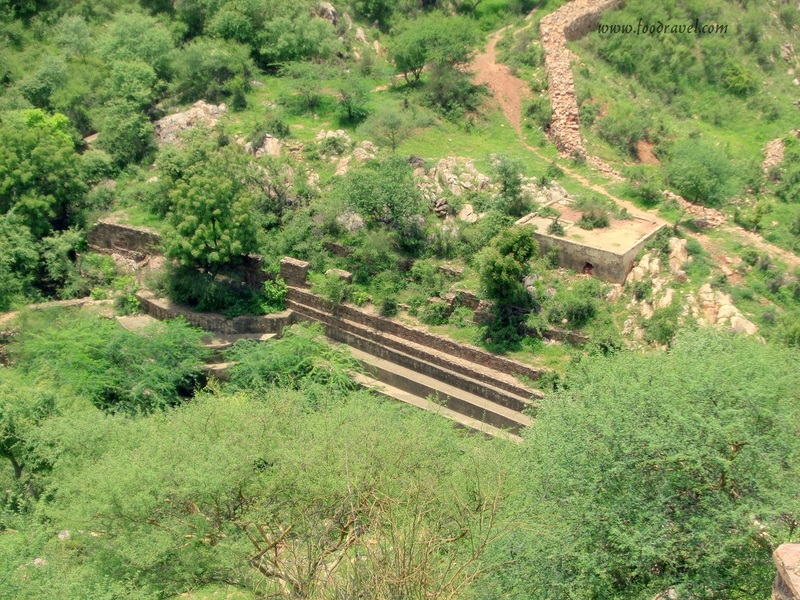 The hill fort of Madhogarh adds enough historical significance to the culture of Haryana state. 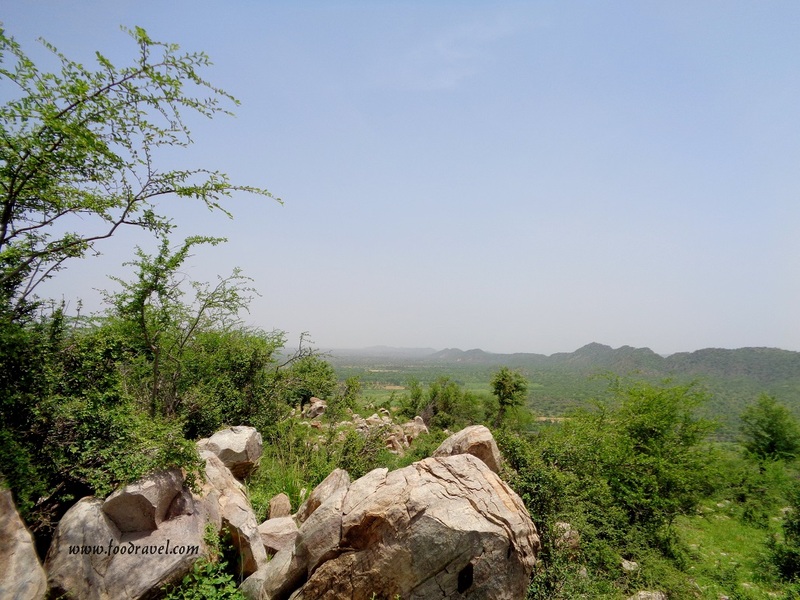 I have never known that there was a hill fort in Madhogarh; it was just couple of years back that I came to about this place. And I decided to explore it out. So, after doing enough homework, one fine Sunday, I along with Amit Harit left for this place in the morning. 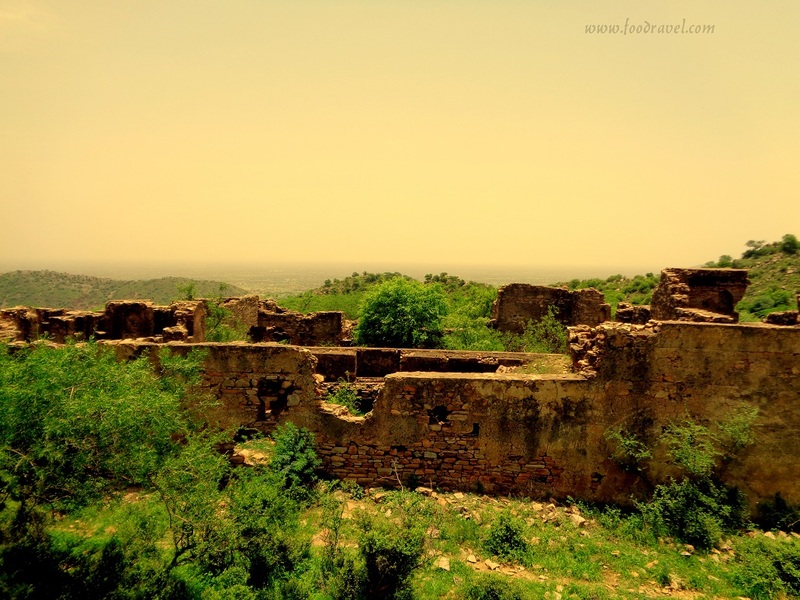 Madhogarh Fort is among the few left hill forts in Haryana state. 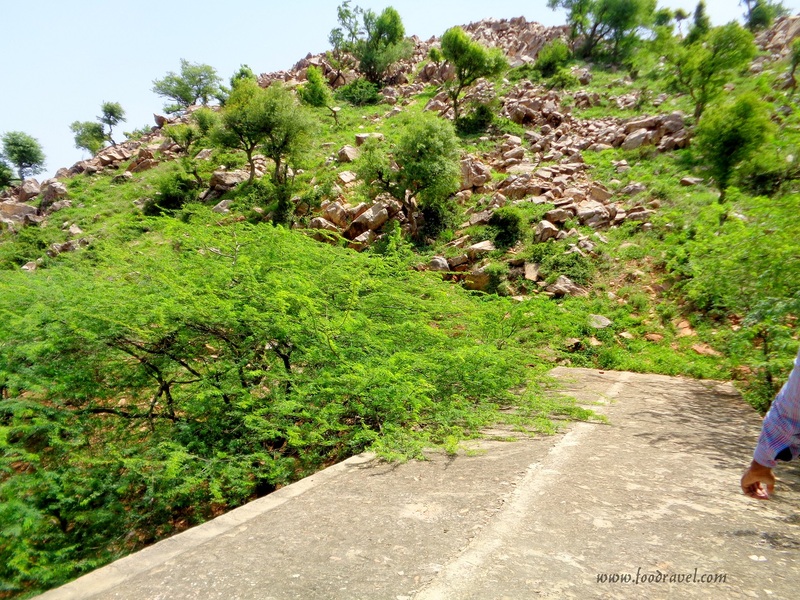 This hill fort of Madhogarh village is located in the Madhogarh village of Mahendergarh district. 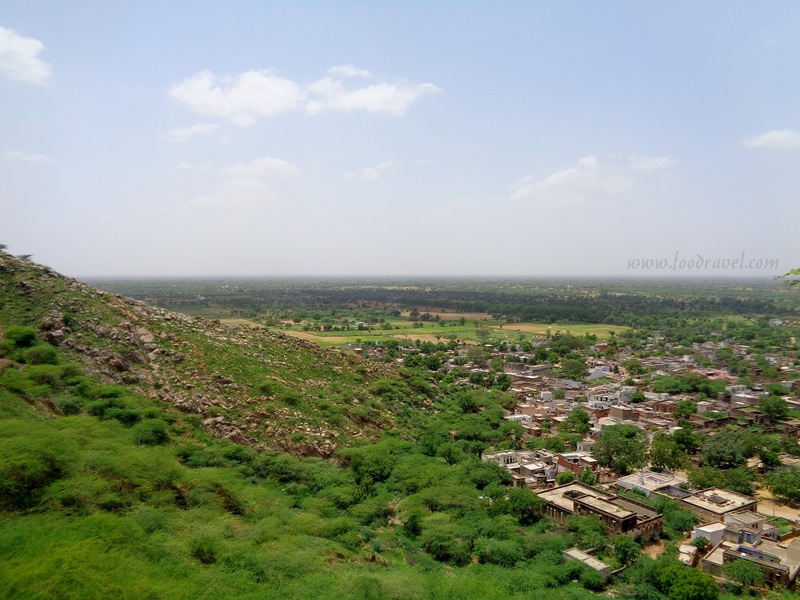 The village Madhogarh is just 12KMs away from Mahendergarh. 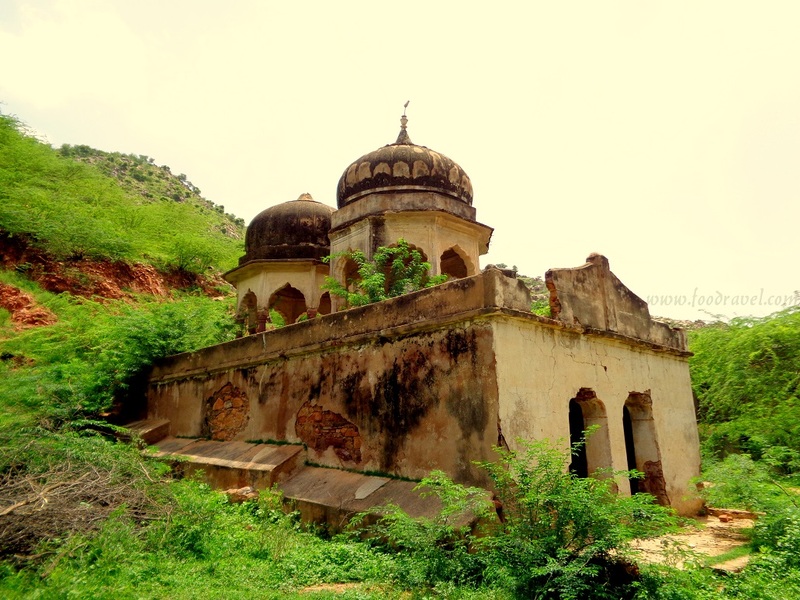 Madhogarh fort lies at the top of a hill in the village. 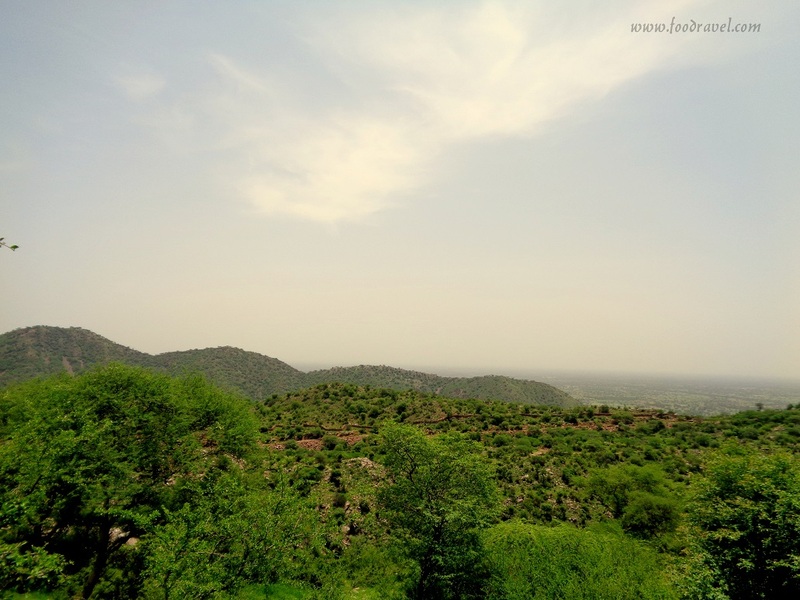 This hill belongs to Aravalli Mountain Range. 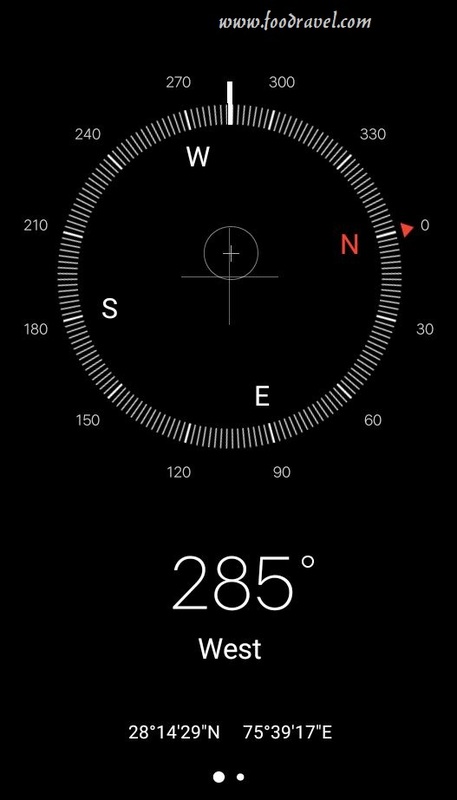 The coordinates of this place are 28°17′52″N 76°1′59″E. 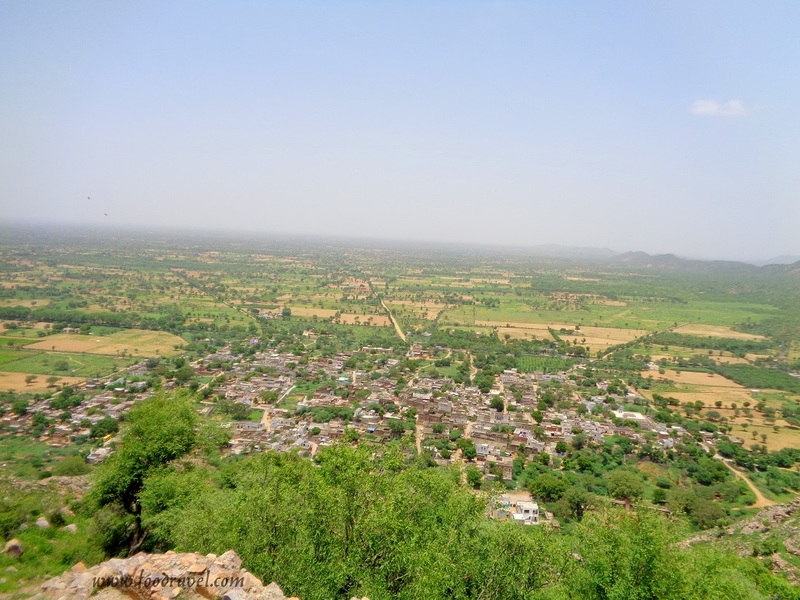 Madhogarh hill fort was built in the first half of 18th century for Madho Singh I. 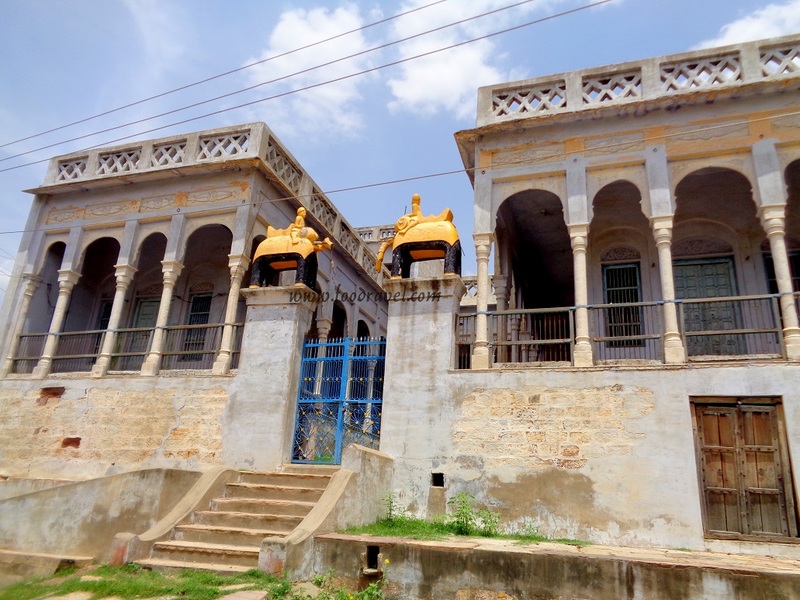 This fort has been built according to Hindu architectural style. 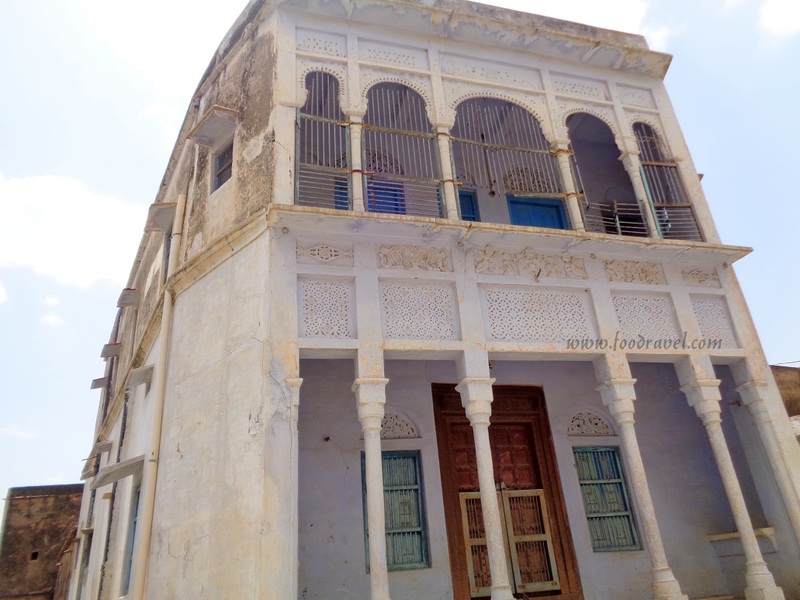 Looking at the pages of history, a Shekhawat Rajput, Rao Shekkha founded Shekhawati and divided it into 33 Pargana also known as Thikana. And Madhogarh Thikana was among them. Madho Singh I handed over this place to Balwant Singh. During 1755, Maratha Empire took it from Rajputs. Khande Rao Holkar was the Maharaja of Indore at that time and he attacked Ismail Beg who was the chieftain of Mughals that time. Beg fled to Madhogarh and set up a post around Madhogarh Fort. 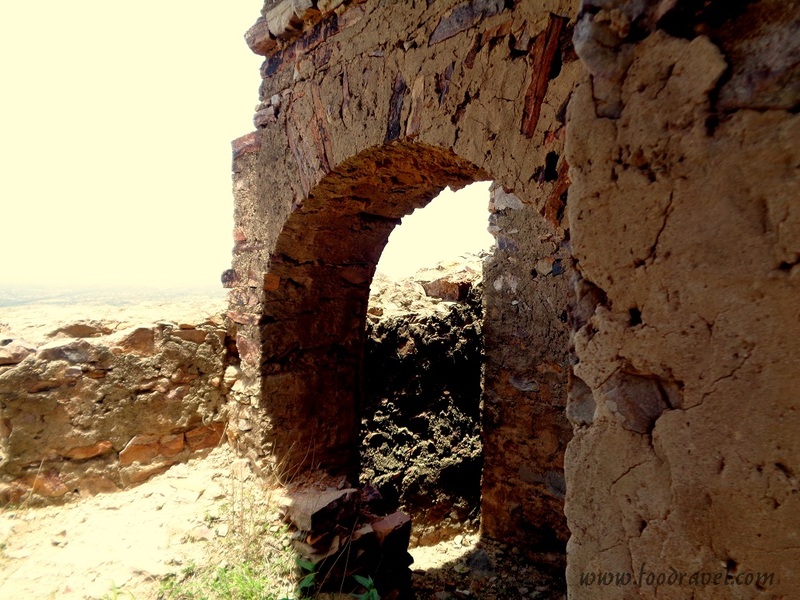 On 16th February 1792, Khande Rao Holkar captured this fort. Beg again escaped but Holkar captured him from Kanud and sent him in prison at Agra Fort where he died in 1794. Mahadaji Shinde of Gwalior captured Rania, Fatehabad and Sirsa and that’s how Maratha captured Haryana state. (Sources: Wikipedia). It was the morning of Sunday, 9th July 2017. I had already plan with Amit the previous night. So, we decided our location and time of reaching. We met at Satnali Chauk. There was some sudden change in the plan as some more people were to join who didn’t show up at the final moment. So, we had to take scooty from my home. My mom has an Activa scooty and we left for Fort Madhogarh at 10 AM from Satnali Chauk. It was an easy ride. The road is nice, well built and maintained. It takes less than half an hour to reach Madhogarh. We were on scooty with nonstop ride. Amit told me that the road was military road thus it was properly maintained. So with half an hour we finally reached to Madhogarh fort. There are many ways to reach to the hill top. And we took one, which turned out to be a wrong decision. Parking your vehicle can be a problem there, as you won’t be willing to park your vehicle in any strange place. We took the scooty half way atop but had to come back down as there was no proper parking place and we couldn’t take the vehicle to the top of the hill at fort. Thus, we had this challenge of parking scooty somewhere. We decided that we would go to the main village and then we would park it at some place. I made visit to Madhogarh village last month and I met some people. I thought they would be a great help in this situation. Thus we went in the village and we lost the way. 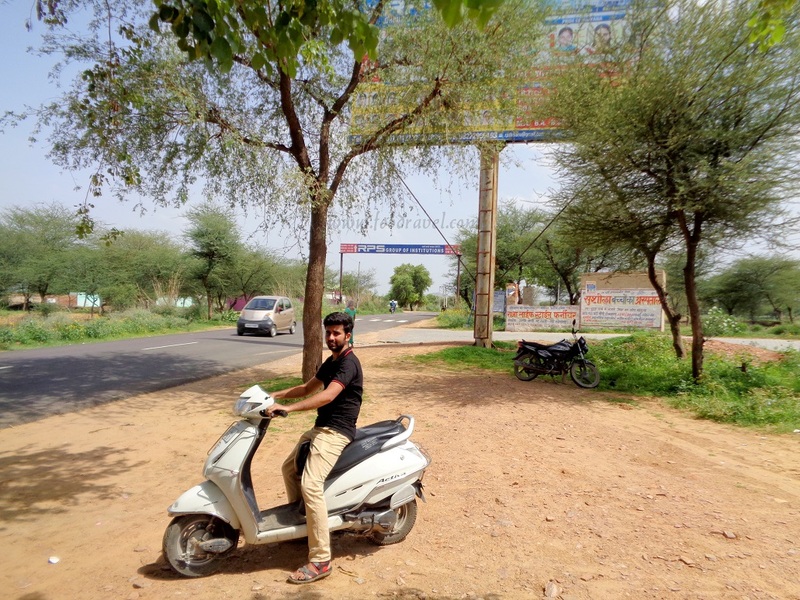 All of sudden, Amit came to know that he had some college friend in the village were we could park our vehicle. Thus he called him and very soon our problem got sorted out. Someone came and we parked our vehicle to his place. Finally, the first problem of our journey to Madhogarh fort was resolved. After parking the scooty, we made our way to the hill fort. People were staring us as we were speaking in English with each other. Amit’s guy offered us his support and asked us to be his guide which was fine. We too needed someone who could tell us something different and real which isn’t in the pages of books and internet. Thus, we started our journey to Madhogarh fort. 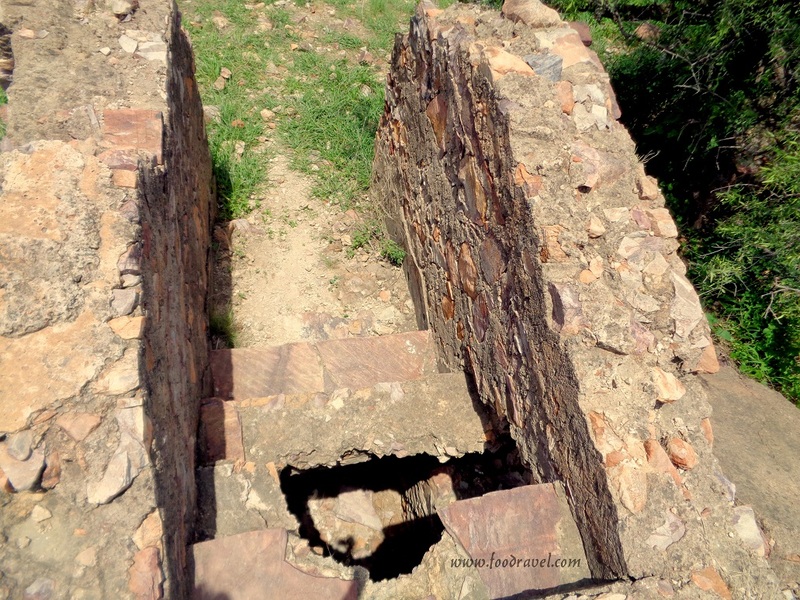 At the bottom of the hill, there were two tombs and a man-made pond. We started our journey from a temple. By the time, the weather started getting hot. The sun was over my head. As we started to climb up step by step, we started to sweat a lot. That man was all cool with this but we both were panting due to heat and trekking. The last month, we did trekking in Tosh but that didn’t trouble this much. But this one was really difficult. We had to stop, sit and relax at times due extra trouble. Moreover, it was very hot that day. I only had one liter water bottle in my bag. And we consumed it sip by sip. 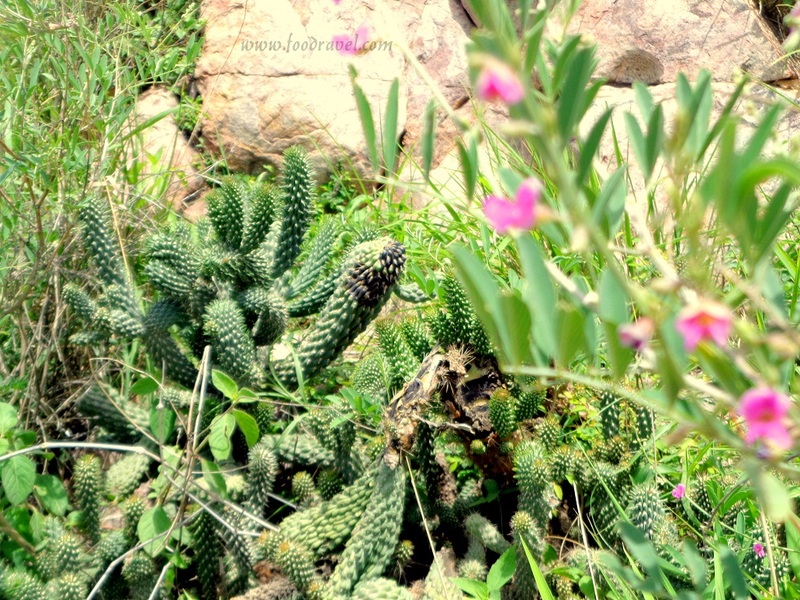 With every step I was taking up, I was wondering when I would reach there at the hill top. It was indeed a difficult task and my body started to run out of water. This was again a challenge. I have climbed such mountains in my childhood but it was long back and I was child then. What wrong I did there was I consumed my all energy in first stage. 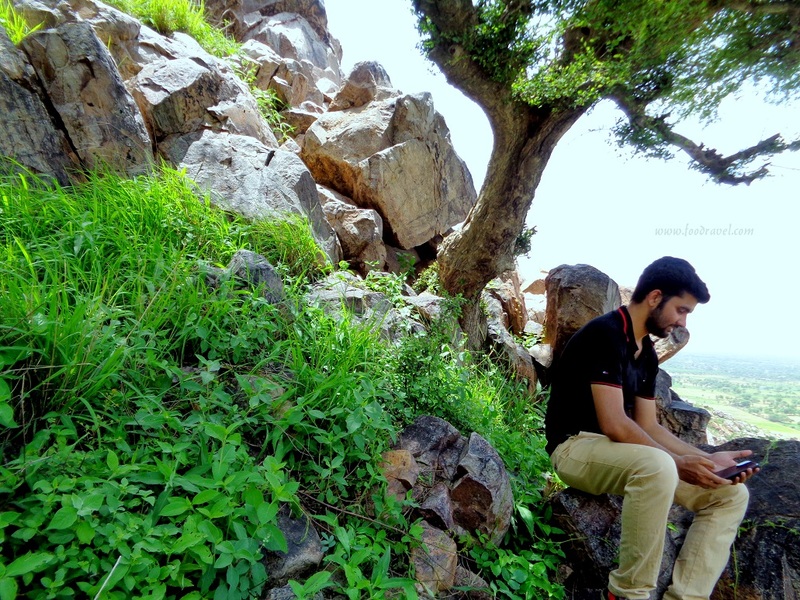 I used much of my energy in early climbing and after that I felt need of taking rest. However a bottle of glucose could replenish it. But giving up wasn’t an option. So, after around half an hour, we finally got to see the fort. We were close enough. Our guide showed us a rest house. We went inside it. It was like a two BHK apartment. But it was all broken and demolished. He told us that this fort was built for tourists; visitors or any minister so that they could stay there, take rest and even spend night here. As per his statements, it was a well-furnished rest house. But later on, it was broken by strangers, even people from the same village. We met an old man there. He had some goats. He also joined us and told few things about this place. There is an engineering college near to this place. He told that students from there come here for time pass. And even they have caught so many couples from the same college. They come here to spend time and spread their filth here. After spending some time and resting, we finally moved towards the fort. The fort was just next to this rest house at a small walk. We entered the fort from the ramp. We were told that this ramp was used for horses. Through the horse path, we finally entered the main building. I was really disappointed to see the condition of this place. It was totally broken, demolished. Only walls those too were broken, were left. It was really hard to identify the structures inside this place. The rooms, the small cubicles, a well, nothing was in a way to be described. However, our guide told us something. There was one more small building of almost same size next to it. He told it belonged to the queen, Rani. There are two divisions of this fort. One is the top one at the hill, which has been totally ruined while the other one is smaller than that and is just below to that. 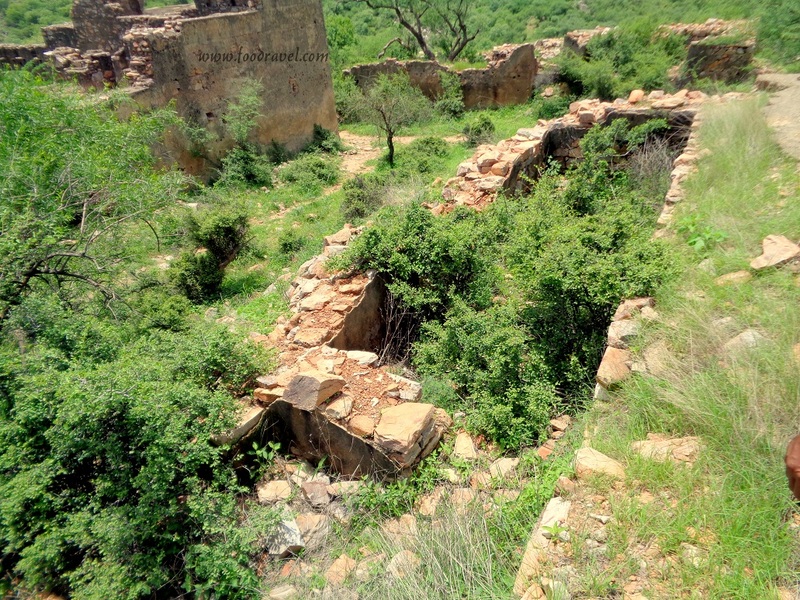 Thick walls surround this fort and there are many bastions. There is a water tank. 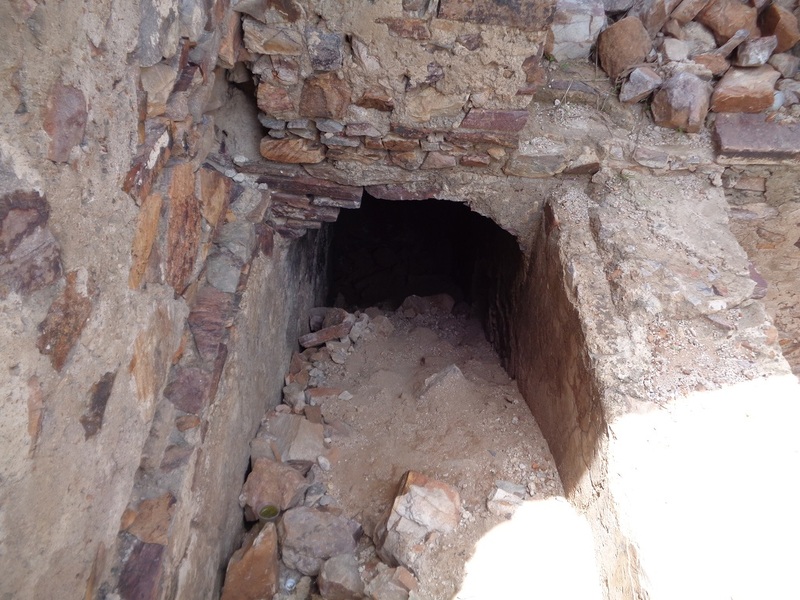 There were small tunnels. He told us these were the ways to go out of this place. He didn’t know much about them. It was all mystery. But he told the king used these tunnel ways in case of emergency, he would take his entire troop with horses and would go to some place. Now these tunnels are all blocked. He told once an entire baraat was lost in the tunnel. The length must have been around 30KM. Standing at the top of the fort, I could see the whole village. It was all green, a complete lush green environment. Our guide narrated us many stories related to this place. There was a man who was known as a Daaku. He had his dominance in nearby places. But he was like a Robin Hood. He told that he had very strong heart and his heart is still kept preserved in SMS Hospital Jaipur. After spending more than an hour around, we decided to leave. There was one more gate of this fort which was all a ‘bat – place’. It was dark, dump marshy and foul smelling place. He told us that people use the debris of this place as manure. From this gate, we came out. 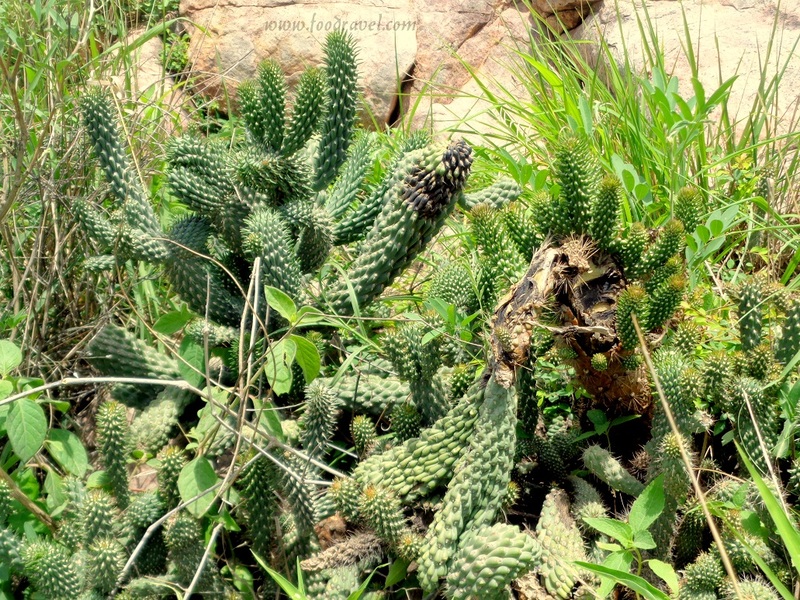 He told us there were several amazing plants with great medicinal significance in this hill. We came down from the fort in the village. He showed us several Kothis (Kothi), which belonged to rich people who don’t live there. They have left this place and settled in other parts of country such as Calcutta. They visit here once a year. We spent some time in the village streets. We saw the Kothi where the cast of the movie Kaun Kinte Paani Mein stayed during the film shoot. This is really an amazing trip. 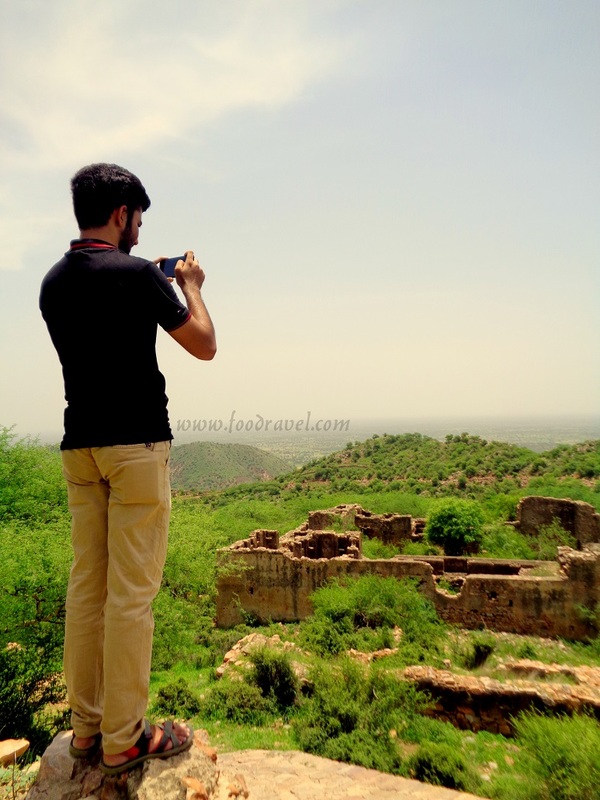 It’s desire of exploration that takes me close to such historical and cultural rich places. The beauty of this place attracts not only visitors but filmmakers also. Not only folk movies, but Bollywood movies have also been shot here. 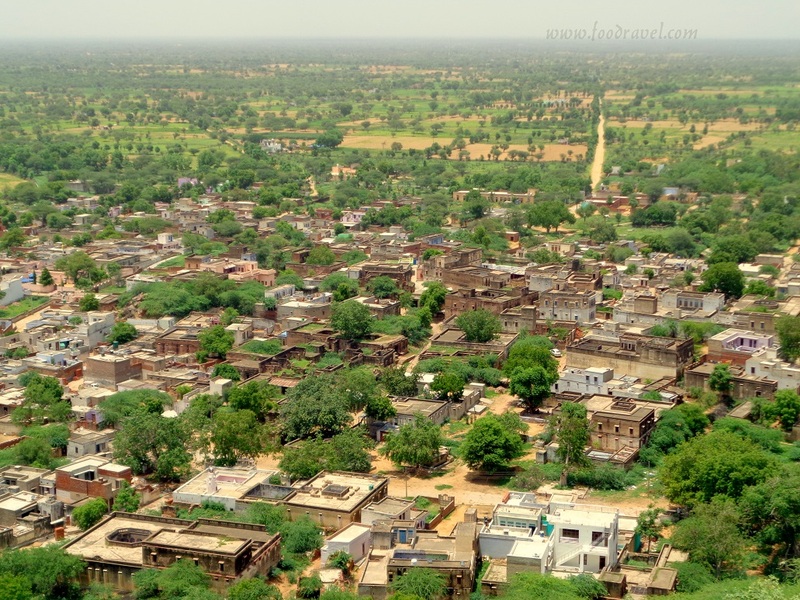 Among the most critically acclaimed movies, Jalpari: The Desert Mermaid, which was released in 2012, directed by Nila Madhab Panda, is based on Madhogarh village. Another by same director, Kaun Kitne Paani Mein was also filmed there. One of the most famous Haryanvi pop album Git Pit Git Pit by Aditya Narayan, Harsha set new records, was shot there. 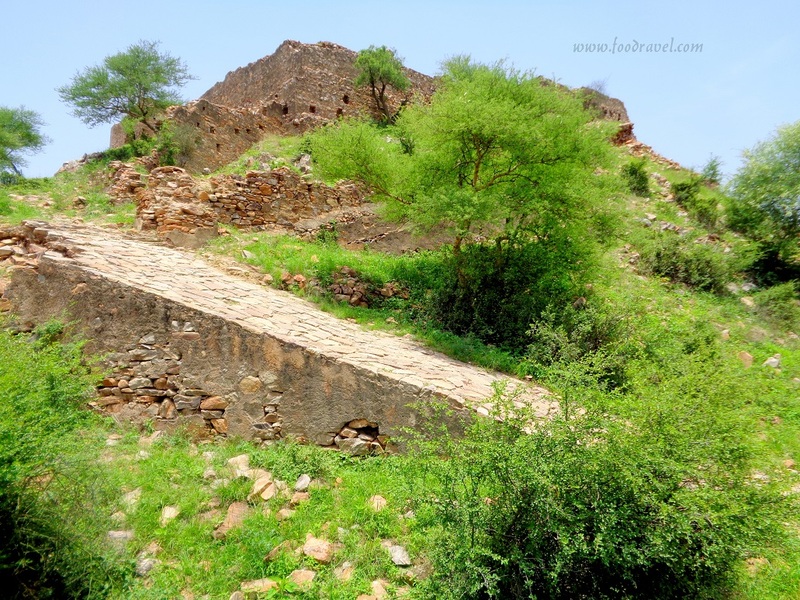 How to Reach Madhogarh Fort? It’s very easy to reach this hill fort. You can either take your own vehicle or can use a public transport. Haryana roadways buses go to Satnali from Mahendergarh and you can get down at Madhogarh village. You can take transport facilities from Mahendergarh bus stand or from Satnali chauk. And within half an hour you can easily reach there. But keep in mind that if you are taking your personal vehicle, you should have a place park it. We parked our vehicle at the house of some known person. There is no public park place, it’s a village. However, our guide told us that if you have an SUV, you can take it to the top of the hill. But light vehicles can’t go to the top. If you are in Delhi, take a train to Mahendergarh and once you reach Mahendergarh, take an auto to bus stand or direct to Satnali chauk. 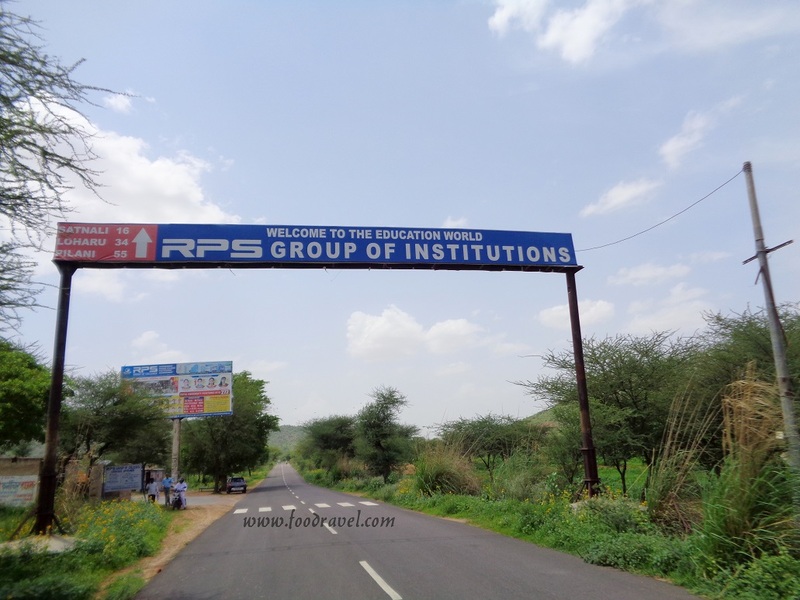 The main mile stone is RPS College of Engineering which is not too far from Madhogarh. What things should you pack? Power banks: If you are shooting and clicking with your phone, you better take a power bank. Food: Carry your tiffin box. Pack some light food, sandwich or noodles. 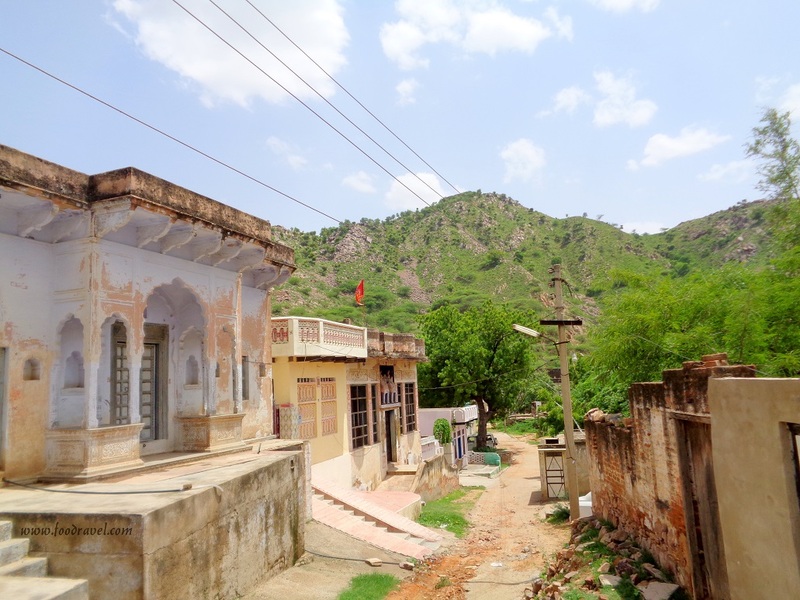 There is no cafe, restaurant, dhaba in or around the village. However, there are small grocery shops from where you can buy snacks and cold drinks. There is a canteen near RPS College of Engineering, but no idea of its timing. It was closed when we visited. Water bottles: If you are going there in summer, you should pack enough water bottles. Because you won’t get water at the top of the hill. Binoculars: Though not required that much, but if you wanna take a better look at the surroundings, you may consider packing it. It’s a hill and climbing can be a problem if you don’t wear accordingly. So wear accordingly so that it can become easy to trek in such a place. Don’t wear jeans. Better to have boots, trousers and t – shirts. Don’t put on sandals or slippers. 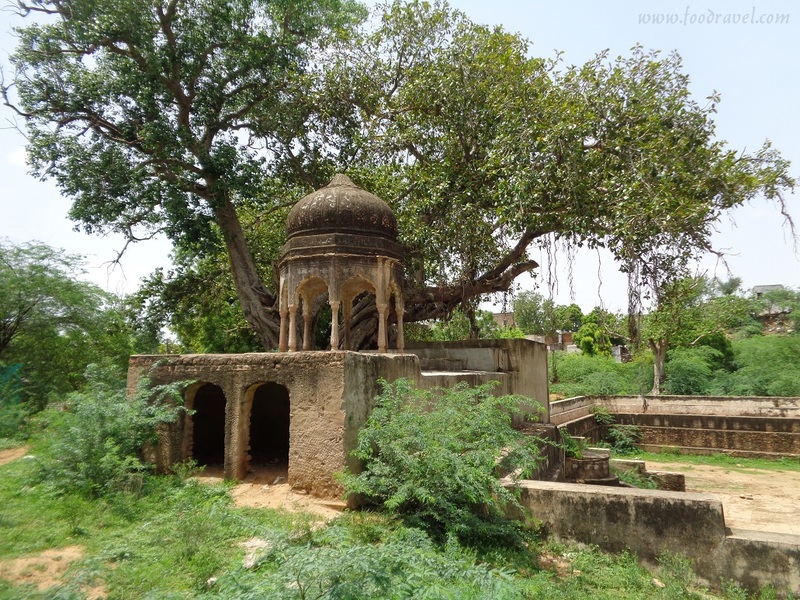 The fort of Madho – that’s what it literally means, is a wonderful historic significance. 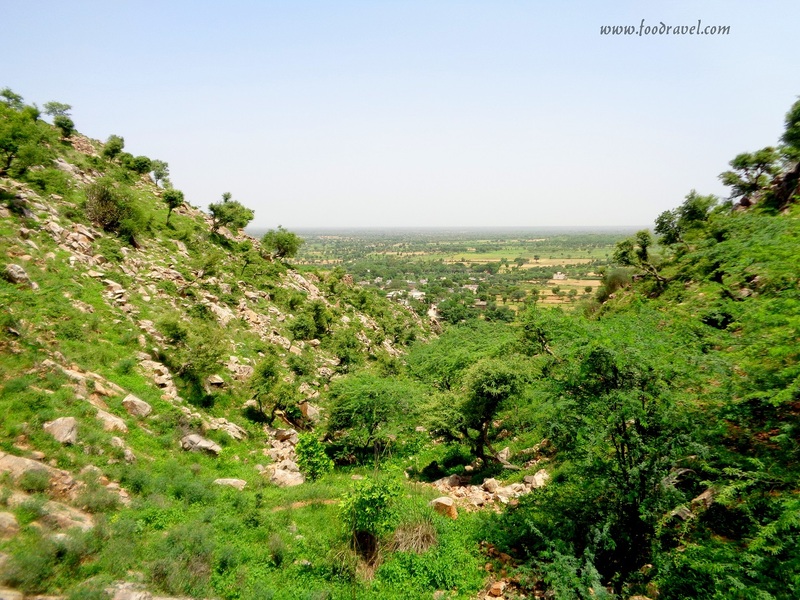 Not to mention that this place is among few hill forts of the state of Haryana. If you visit there, you will find this place isn’t given required attention. The government doesn’t seem to be bothering about it. And this place is struggling to survive. However it comes under Archaeological Survey of India. Though people keep coming here to visit this place, still it is ignored. 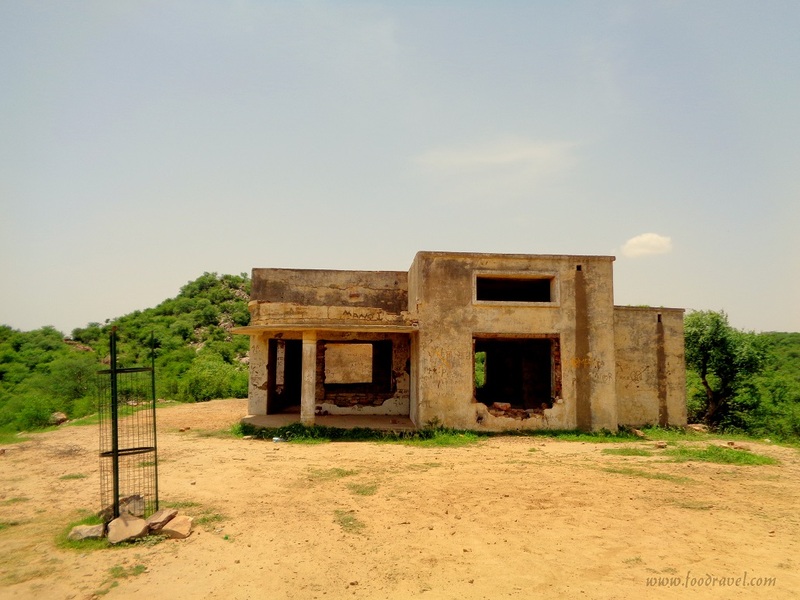 The State Government has planned to develop it into a tourist resort but nothing has worked out so far. Had there been proper administration attention, this fort could have been a proper tourist place. But now that more than 70%of this place is demolished, it is counting its last days. 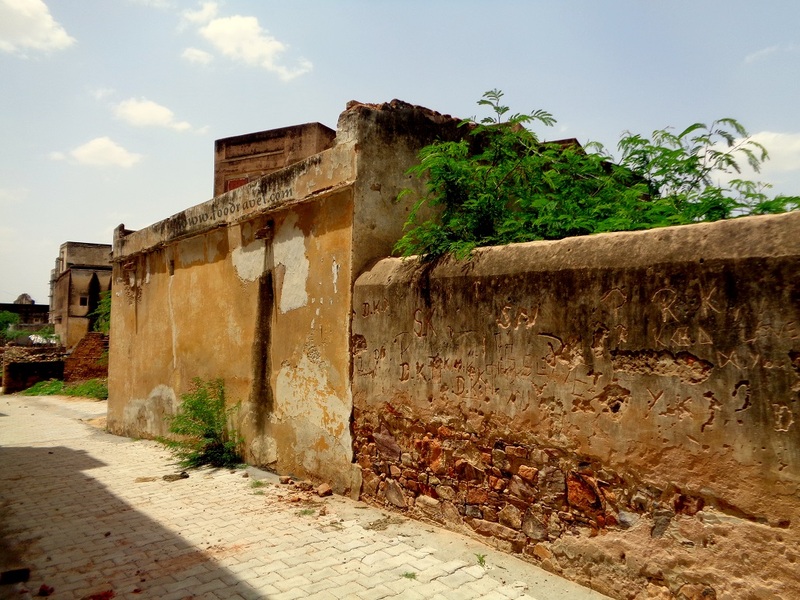 Irony is that the State archaeology department rests within the hands of present MLA of Mahendergarh; still no attention has been given to Madhogarh Fort as well as Mahendergarh Fort. I hope someday, in near future, the government may pay significant attention to both these forts and start taking some suitable actions. No doubt, if no attention is paid, this fort will be lost in the ignorance and its relics will only be left in folklore.